Code Creator's FFMPEG server available on AWS Marketplace, provides customers with a turn-key foundation to an enterprise grade video conversion suite. "The FFmpeg conversion suite is a complete, cross-platform solution to record, convert and stream audio and video." Code Creator, a leading Connecticut-based high tech software development company announced a new cloud based media converter server is now available on the AWS Marketplace that lets users process videos in their browser. The FFmpeg conversion suite is a complete, cross-platform solution to record, convert and stream audio and video. Code Creator’s Cloud Media Converter contains node.js, ffmpeg and videoconverter.js all on Ubuntu 12.04 LTS. 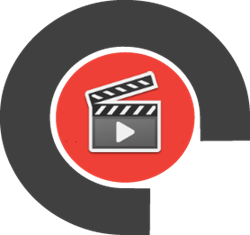 This server is designed as an extremely powerful turn-key foundation to an enterprise grade video conversion suite. FFmpeg is the leading multimedia framework, able to decode, encode, transcode, mux, demux, stream, filter and play pretty much anything that has been created. It supports the most obscure ancient formats up to the cutting edge. It contains libavcodec, libavutil, libavformat, libavfilter, libavdevice, libswscale and libswresample which can be used by applications. As well as ffmpeg, ffserver, ffplay and ffprobe which can be used by end users for transcoding, streaming and playing. The Cloud Media Converter provides a convenient, fast way to purchase and immediately start using the FFMPEG application on the Amazon Web Services (AWS) cloud. The software is pre-configured, AWS optimized, and launches with 1-click and users pay as they go with no contract needed. Code Creator is also offering a 30 day free software trial. LAMP Stack with Webmin is the latest version of Ubuntu LTS (12.04) as well as Apache2, MySQL 5.5 and PHP5. It also offers a pre-installed and configured Webmin instance ready to log in and give you full control over your cloud instance. With Webmin, you can easily manage your server, install software, and configure applications without ever having to log in command line. Red5 Media Server 1.0 delivers a powerful video streaming and multi-user solution similar to leading media servers. Based on Java and some of the most powerful open source frameworks, Red5 stands as a solid solution for business of all sizes. By using the Code Creator Source Red5 Media Server, you are developing with a truly open and extensible platform that can be used in Video Conferences, Multi-User Gaming and Enterprise Application Software. AOSP ROM Builder is a full featured Android Build environment, pre-configured with all the software needed to build the Android Open Source Project, create your custom ROM, or just build for one of the included devices. The server also contains the AWS CLI tool so that you can easily copy your AOSP image to the S3 once compiled. Harness the power of AWS by instancing a high CPU core instance and build Android in record time. Cloud MEAN stack with node.js, upstart and monit is a production level foundation for any node.js application. MEAN is a boilerplate that provides a nice starting point for MongoDB, Node.js, Express, and AngularJS based applications. It is designed to give you quick and organized way to start developing of MEAN based web apps with useful modules like mongoose and passport pre-bundled and configured. This means that your node.js server will stay alive indefinitely and always be restart upon crash on port 80. Having node.js as a unix service means you can easily monitor and start/stop/restart it with the standard linux commands (service node restart), as well as stream and view the log files in real-time. With the Code Creator MEAN stack you will have an enterprise grade, production ready node.js environment pre-configured as soon as your instance boots up. Digital Asset Management Cloud server features ResourceSpace: a web-based, open source digital asset management system designed to give content creators easy and fast access to print and web ready assets. WebMin is also included for full web-based server management. Moodle Cloud a popular e-learning system. Moodle is an Open Source Course Management System (CMS), also known as a Learning Management System (LMS) or a Virtual Learning Environment (VLE). It has become very popular among educators around the world as a tool for creating online dynamic web sites for their students.